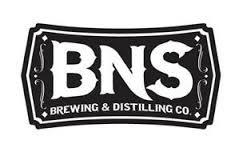 BNS’s core group of beers is comprised of four ales: Gunfighter Golden Ale, Saloon Girl Saison, Flintlock American Pale Ale, and Revolver IPA. There’s also a Russian imperial stout called Gatling Gun, which is dark, roasty, and high in ABV. An 80-proof vodka that’s distilled four times is fortchoming. Also in the works is a bourbon whiskey and a gin engineered to be lower in juniper berry oomph than the majority of gins on the market. Friday, May 10, 6:30 p.m.
Sunday noon to 9 p.m.
Monday noon to 9 p.m.
Tuesday noon to 9 p.m.
Wednesday noon to 9 p.m.
Thursday noon to 9 p.m.
Friday noon to 10 p.m.
Saturday noon to 10 p.m.